Renal (kidney) failure occurs when the kidney function has deteriorated to such a degree that the kidneys can no longer perform their normal functions of excreting wastes, maintaining water and electrolyte balance, and producing hormones. Renal failure occurs in chronic and acute forms. Acute renal failure is of sudden onset and is potentially reversible, depending on the degree of damage to the kidneys. By contrast, chronic renal failure has been present for months to years and is irreversible. 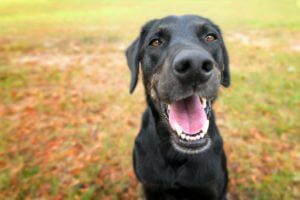 Dogs and cats with chronic renal failure cannot be cured, but their clinical signs may be managed to help maintain a reasonable quality of life. Kidneys are composed of many small functional units called nephrons. 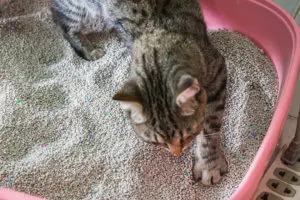 Dogs, cats and humans are normally born with such an abundance of nephrons that signs of kidney failure do not become apparent until more than two thirds of the nephrons have been damaged. This surplus of nephrons makes it more difficult to detect chronic kidney disease until it is well advanced. As a consequence, chronic kidney failure is often an insidious condition that remains unrecognized until it is severe. Because kidney disease is typically advanced at the time of initial diagnosis, the initiating cause of chronic kidney failure can rarely be established. Although chronic renal failure occurs more commonly in older dogs and cats, renal failure is not simply a result of aging. The earliest signs of renal failure are typically increased thirst (polydipsia) and increased urination (polyuria). These signs result from the inability of the diseased kidneys to concentrate the urine. Other common signs include weight loss, poor hair coat and an increasingly selective appetite. Further decline in kidney function results in progressive inability to excrete waste products in the urine, leading to retention of toxins in the blood and tissues of the body. This is called uremia. The most common signs seen with uremia include loss of appetite, vomiting, ulcers in the mouth, “uremic” (ammonia smelling) breath, weakness and lethargy. An important consequence of advanced renal failure is anemia, caused by the inability of the failing kidneys to produce erythropoietin, the hormone responsible for making red blood cells. Anemia worsens the weakness, lethargy and loss of appetite in dogs and cats with chronic renal failure. Hypertension (elevated blood pressure) is not uncommon in patients with renal failure. High blood pressure may cause sudden blindness from retinal detachment and further injure the kidney and heart. Diagnosis of chronic renal failure is confirmed by laboratory work evaluating your pet’s blood and urine. A urine test can help to determine whether the kidneys can concentrate urine as well as provide evidence of other urinary tract problems such as infections or excessive protein loss through the kidneys. Blood tests used to evaluate kidney function include the blood urea nitrogen (BUN) and serum creatinine concentrations. Because the kidneys excrete both urea and creatinine, increases in these values indicate decreased kidney function. These tests are usually done together because they provide different information. The serum creatinine concentration is the more specific test for kidney function, as other factors may influence the BUN. In addition to evaluating kidney function, other tests may be used to evaluate your pet for anemia, electrolyte and acid-base imbalances, and calcium and phosphorus levels. 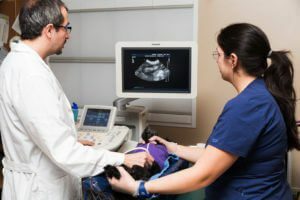 Ultrasound and radiographs (X-rays) may also be used to evaluate the kidneys for other diseases that may cause renal failure (i.e., cancer, polycystic kidney disease, hydronephrosis). Treatment for chronic renal failure is tailored to the unique clinical requirements of each pet, but may include a special diet and one or more medications to slow the inevitable progression of renal failure. Additional treatments to adjust acid-base and electrolyte disturbances, correct anemia, control excessive acid production in the stomach, and regulate high blood pressure may be required. Dehydration is a constant threat to pets with renal failure. Patients with renal failure may deteriorate quickly if episodes of vomiting, diarrhea or inadequate water intake are not dealt with promptly. Water should never be withheld from dogs and cats with renal failure. Additional fluid therapy (either intravenous or subcutaneous fluids) may be recommended on an intermittent basis in those patients unable to maintain adequate hydration on their own. Blood pressure needs to be monitored periodically in all patients with chronic renal failure. Likewise, intermittent monitoring of blood values is considered necessary to identify emerging problems that may alter treatment or provide information regarding the stability or progression of the renal failure. Fortunately, most dogs and cats that undergo treatment can achieve a good quality of life for months to years. Survival time in cats with chronic renal failure is typically longer than that in dogs.